Let's talk about the latest buzz in social media and even though this article will not be talking directly about automotive I still think it is relevant here. 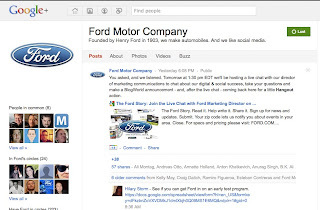 After a week of using Google+, I think a lot of pundits are off on who Google+’s competition is. It is not Facebook. It is Twitter. It may be Facebook someday, as Google continues to rollout more functionality and soon will launch brand pages, which will begin their pilot phase in two weeks, but for now the site really looks like a challenger to Twitter. Everyone is talking about Google’s Circles functionality that allows one to select which group a new person you add will exist in. People can be placed in multiple groups, for example I can add someone to my local Dallas group and in a work-related group. To me, this is an improvement over Twitter Lists where one can divide their community in an easy way and filter their “Stream” by circles, similar to how one might display a Twitter list as a feed only viewing the tweets for that group. I use lists more than I’ve ever used groups on Facebook and the intuitiveness of Google’s Circles feels like a great evolution of this functionality. You can add anyone to a Circle who is on Google+. There is no request, the person being “circled” does not have to approve your decision to include them in your community and I’m sure we’ll see social media articles in the near future talking about the ratio of people in your circles and how many have you in their circles and if you should circle back others who circle you. Community building sounds more Twitter-like than Facebook-like to me. I find a lot of new people in my social sphere by seeing who people I follow on Twitter are conversing with and when it looks interesting and that person’s profile and content looks compelling I follow them on Twitter. I don’t do this on Facebook. I don’t send friend requests to people my aunt might be talking to in a comment thread or send a request to a co-worker’s high school buddy even if I think that person’s comments are interesting. Google+ is different since I can easily add people to Circles who have common interests and it’s not as awkward as sending a friend request to someone you have never met before. Perhaps adding people to Circles will be less social as more people join and it really does become an alternative to Facebook than Twitter. Currently adding people to a Circle is a behavior that is more socially similar to a Twitter Follow action. Want to join a more focused instant conversation that anyone can join and jump out of easily? Well Hangouts are for you and I’m sure we’ll see brands using this functionality in a way twitter hashtags are used. I’m guessing Hangout trivia contests to win products and weekly Hangouts will develop around specific days and times for the community to come together to discuss their shared interests. Like Twitter, Google+ content is publicly available on the world’s most used search engine and many are wondering how Google might change its search algorithm to benefit Google+ content. This is important to brands, publishers, content creators and others who concern themselves with things like Page Rank and Search Engine Optimization (SEO), but I can guarantee you my old high school friends or family members have no idea what Page Rank and SEO are nor will they ever care. So the Google+ silver bullet may be an audience that is interested in how content better lives in search and again here is where the link to Twitter as a competitor is more apt than Facebook. Many are on Twitter trying to get better SEO and I’m sure they will also join Google+ to improve their search rankings. Google’s feed is called the “Stream” and it pretty much behaves like Facebook’s News Feed with the ability to add links, images, videos, or a location along with commentary plus your community can comment and +1 (similar to “Like”) your posts. This functionality is very much like Facebook today, but if people recall the evolution of Facebook’s News Feed borrowed from Twitter’s interface (and Friendster.) Sure it is more media-rich than Twitter, but this feels like Twitter on steroids and allows for conversations around a particular topic, but I agree this functionality is most like Facebook and hence why most feel Google+ is a Facebook competitor; however, I feel this is where Twitter ultimately may have evolved if Facebook hadn’t beat them to it. Google+ certainly feels more like Twitter today, because a lot of the people I’ve connected with have come from my Twitter connections than say real-life connections. That of course may change if the masses, read my mom and non-social media types, start to gravitate to Google+. Without a compelling reason to move to another social community platform for the masses, it is doubtful my mom will want to re-establish all of her connections on a new website when Facebook has years of photos, years of accepted friend requests, and years of familiarity she has come to like. For now, Google+ isn’t replacing either Facebook or Twitter since the community is still small and invitations are slowly trickling out, but as the site gains momentum it will be interesting to see if Google+ takes time away from Twitter more than Facebook. My guess, after a short week of using it and liking it, is it may be a formidable challenger to Twitter. I agree with your analysis in terms of G+ functionality mirroring Twitter. But as with any product, I'm wondering who its real *audience* is -- beyond the wave of tech-savvy early adopters. Who will the first 500,000 users be who really seed G+, required for it to scale to millions? One entry point could be the business world. 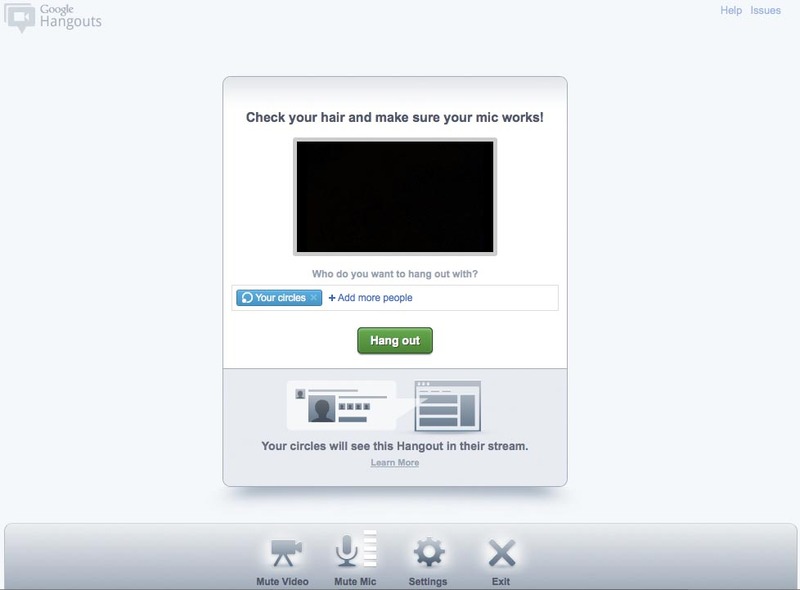 Circles provides both privacy and a better communications tool than email; Hangouts could replace video conferencing. There is a 25-34 demo in the business community that finds Microsoft and GoToMeeting incredibly stifling and boring, and these future business leaders could be the wedge for market adoption similar to the college graduates that seeded Facebook across the masses. The initial slow-release WOM campaign seems a start in this direction. Facebook is too silly for business social media. Twitter is too open. LinkedIn is cold porridge, and still known more for resumes than as a communications platform. There seems to be an open market niche here. I showed G+ to two 13-year-olds last night, and they quickly grew bored. "Looks just like Facebook," one said. Can't wait to see which demo really responds first. Get ready to write more of these going forward. Connectivity won't end here. There will be another service. And another. But until someone makes a service that effectively supplants what we use now, it's all just the same thing over and over. I won't be building another social foundation in Google farther than learning its commercial application. It's all just datamining anyway. First of all, love the comment about LinkedIn being "cold porridge." I recall you having similar comments about it on AdVerve or The Beancast. Also Facebook is "too silly for business social media." Well said. Yes I agree it is trying to find its audience and with Google's prior failures, let's call them learnings now, they should know they have to meet the need of a particular large audience. Facebook did that by meeting the needs of the country's college students and even required .edu email accounts in its infancy. Thankfully I was doing my MBA at University of Michigan at the time and joined in '05 remembering how basic, almost Google+ like the site was back then. A Facebook for business users doesn't sound all too compelling to me but it certainly is a possibility and your comment about other online meeting tools is accurate, plus we all expect Google+ to integrate with Google Docs which lends to your thinking. I only have a couple 5-year olds so they don't care about Facebook, Twitter or Google+. They only care about Angry Birds. Great summary Chris. While I agree with the write up another huge benefit to the G+ is the ability to keep users in one experience. I can look at my reader, alerts, docs, mail, etc. without leaving the Google experience. That's a very nice feature when you think that I can now leave the browser tab open and never close it since I look at all of those pages throughout my day. Google learned from Wave and other failures and they seem to be on track for now. I'm loving the siloed approach to the platform and I think for many it could become a way to rebuild their network. It's a shot at SM virginity again in a sense that you can rebuild the Facebook community that you may not love. If you've added too many coworkers, family, or crazy ex's then here's your chance to keep them all where you want them without getting into insane privacy settings that change weekly without warning. Thanks, Chris. And I could be wrong -- perhaps the real play is recreational mobile users. Google is pushing Android phones hard; a sweet social-media UI on mobile might be the best entry point. I haven't been able to test G+ on my iPhone yet and wasn't impressed with the iPad mobile interface, but we'll see. If G+ is woven into Android seamlessly, it could become the default social media tool for mobile handsets. Facebook should be freaking out about this, because Google has a mobile platform and FB doesn't. G+ has a cleaner interface, and small mobile screens do require less clutter. I also agree with your point about it being a platform to finally properly organize your social connections. Circles is brilliantly easy and intuitive. It's also a chance here to think how one wants to designate people and communications, something Facebook has been horribly weak at. But I think this again is a SMSU behavior, but it does have applicability with lots of people who want distinct personal and professional profiles; though, many have already made that separation by creating two Facebook profiles that is a bit more cumbersome than the Google Circle approach. Just like in any platform Google + being no different it will have its little niche of followers carved out . It does appeal to the younger social set which seems to be adapting at a quicker pace to video chat than the 30 something crowd. I enjoyed reading through your article and it touches on many of the points I was trying to make on my Face-book page. It's clearly obvious that venturing into this market for Google would only serve in their best interest. If done right it can and will gain popularity. In terms of either replacing both Twitter or Face-book I'd have to say I clearly don't see that happening. Twitters success is clearly driven by celebrities as this seems to be the one stop destination for them to keep up with their social streams and their fans. I suspect the reasoning behind it is because of it's easy interface as more than likely most update their lives straight from their mobile devices. In terms of Face-book it will be near impossible for Google to serve as a replacement for Face-book and if Google + "hangouts" does not go over than it's nothing more than a duplicate clone of Face-book with tweaks. 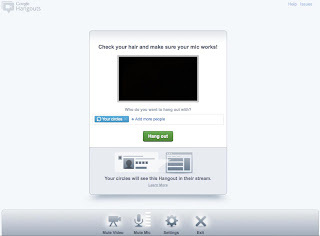 So its overall success is dependent upon the success of its video chat interface and functionality. As always Chris we welcome your comments and insights to our page and appreciate them whole heatedly. Great stuff! I'm not sure I want to join in another social network... but I'm sure I'll be on Google + and I'm sure I'll have some businesses up there too. Great points - particularly as far as the 'follow' aspect of circles are concerned. 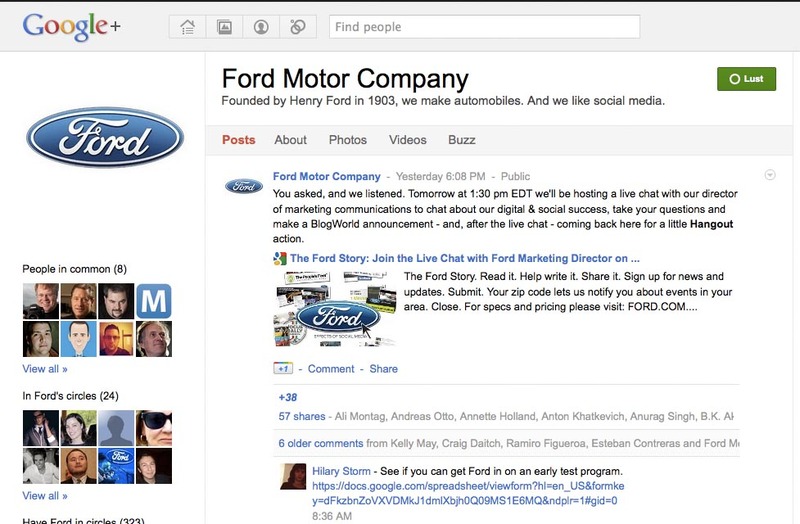 With so many social platforms to choose from, it's still hard to predict just how serious a competitor Google+ will be to other social sites where dealerships have already established a solid online presence. With some development Google+ could pose a serious threat to Twitter's top-dog status, or improve upon a few aspects of Facebook - but it's still a brand new service, so we'll just have to wait and see if it will seriously catch on. One thing I'm sure will happen is Google+ will evolve its feature set and long-term this will mainly tread on Facebook's territory, but for now I think the platform is impacting time on twitter. Well with Google being such a major component of search success, I'm sure we all will have to be there provided it really does catch on. Yes the cleanliness of the interface is the initial excitement plus something that is finally a viable alternative to Facebook.